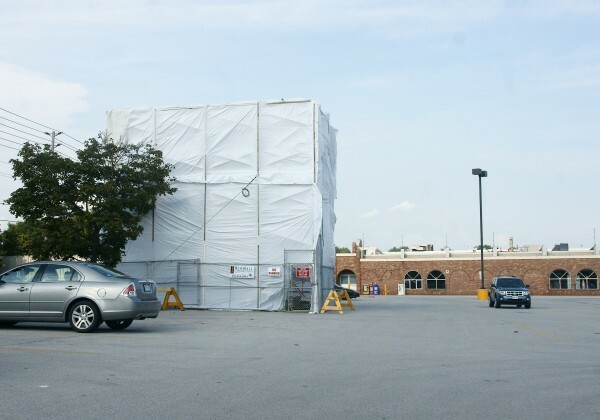 Over at Yorktown Square (a shopping plaza located on Grand Marais) in South Windsor, Windsor’s most iconic lighted landmark is getting a makeover. The Yorktown Square sign, listed on the City of Windsor’s heritage register, is getting a much-needed restoration. Work is expected to continue for a few weeks and until completion, the sign will be covered with scaffolding and a protective plastic enclosure. Check out the Yorktown Square while lit, here.